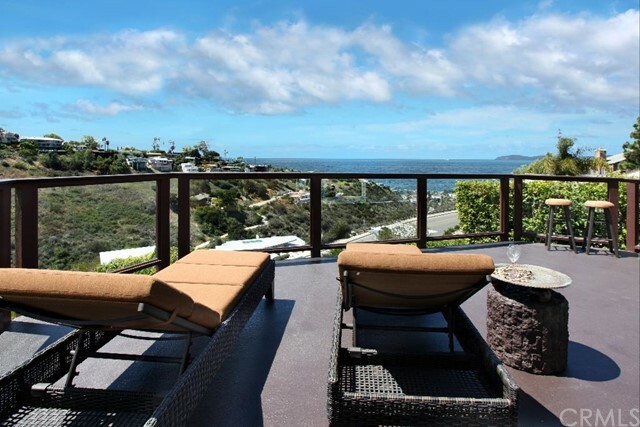 Exquisitely remodeled modern home, comfortably situated on a very large, private lot, surrounded by lush lawns and gardens on all sides, and with dramatic views of the blue Pacific, Catalina and downtown Laguna sprawling beyond a picturesque canyon. This home underwent a complete renovation in 2014-15, including all new kitchen and island now opening to a great room, new bathrooms, new custom cabinetry, new quartzite and marble counters, designer tiles, newly restored hardwood floors throughout, new electric throughout, new LED lighting, new fixtures, new tankless hot water & filtration system, and all new appliances. Several view decks complement the open living spaces, which also feature vaulted ceilings, a loft nook, separate dining area, separate family room, and a bonus room which may be a studio, gym, office or playroom. The yard offers several areas for entertaining or enjoying the views, and includes 2 fountains, a serene manicured side garden off the master, a stately front yard, citrus trees, expansive lawns and LED lighting. Ample parking for guests on the low-traffic cul-de-sac. 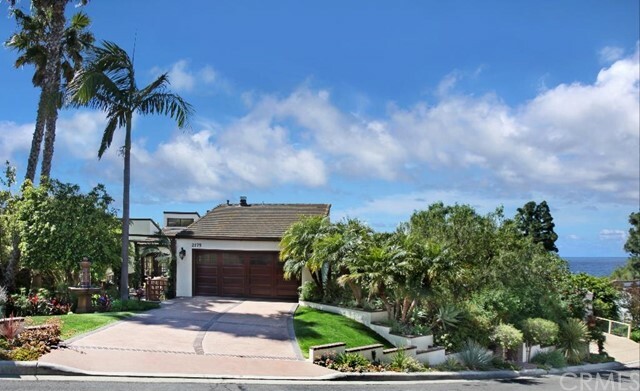 This home epitomizes the ideal Laguna lifestyle, for a family or anyone who entertains!